The Chauvet Derby-X is a DMX-512 LED derby effect light, featuring individual control of all 6 LED clusters. Additional features include blackout/static/strobe, built-in automated and sound activated programs, and linkable power for up to 27 units. 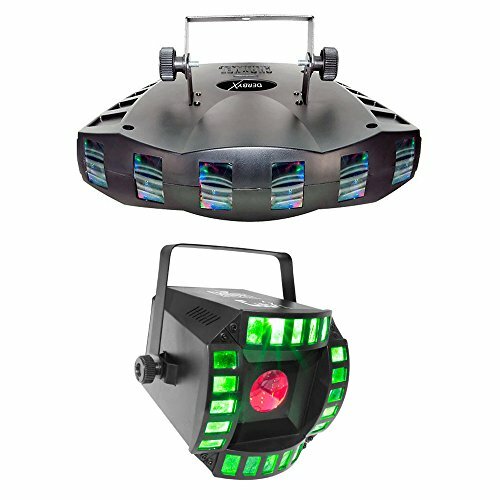 With this light system you will have individual red, green, and blue LED lights (6 total) to dazzle your audience! The Chauvet Cubix 2.0 is a redesigned, multicolored, LED centerpiece that combines 2 effects in 1 fixture. Centrally-mounted LEDs produce multi-colored effects and animations that flow across the room, while the quad-sided derby effect floods the dance floor with rotating, multi-colored beams.